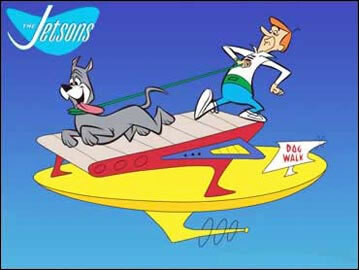 The Jetsons premiered in prime time on ABC on September 23, 1962 when much of the public was seeing and test-driving the 1963 Studebaker Avanti for the first time. 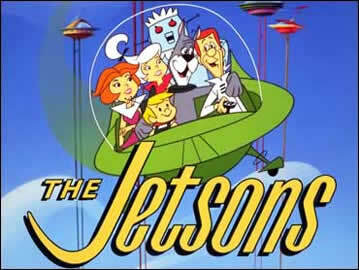 The Jetsons consisted of the beleagured bread-winner George, loving wife Jane, hip teenage daughter Judy, fun-loving pre-teen son Elroy, and loyal dog Astro. Also in the cast were robot maid Rosie, George's irritable boss Mr. Spacely, Mr. Spacely's rival Mr. Cogswell, and handyman Henry. Although only one season's worth of episodes was initially produced for primetime, the show eventually aired on and off on all three networks on Saturday mornings from 1963 to 1983. Additional episodes (featuring new family pet Orbitty) were produced for syndication in 1985. George and Astro on the "Dog Walk. 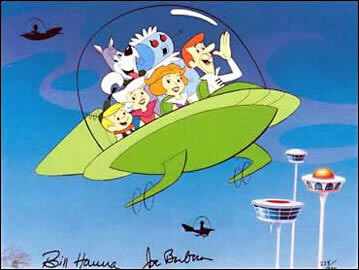 The Jetsons TV show was launched during the Studebaker Avanti model run. 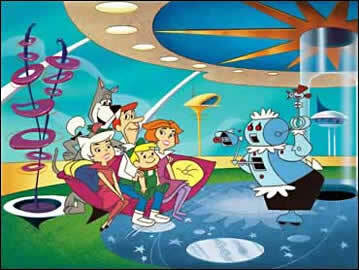 The Jetsons was the Flintstones jettisoned into the 21st century. 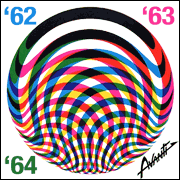 Avantis were in the showrooms and fans swooned at its radical new styling at the same time the Jetsons entertained millions of TV viewers.